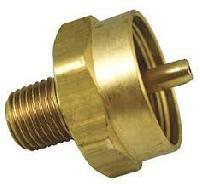 We manufacture LPG adaptors with inlet size 25.6 mm and type horizontal and vertical. 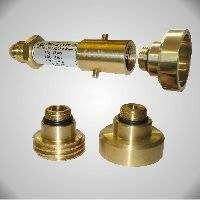 Out let connection is provided as per customers requirement. Generally it is 3/8" or SI 21.8 mm threading. 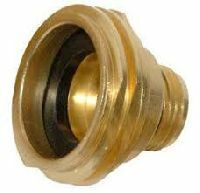 SI 21.8 mm outlet also has two variants i.e. one with 0 —ring on face and the other is groove on face. Colours generally Red and Gray are given. 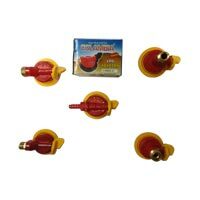 But for high quantities colour can be provided as per customers requirement. This will be used for the evacuation of gas from the Pin struck cylinder. Will be connected with LPG hoses to the LPG reservoir. Wheel on the top rotates in clockwise direction. 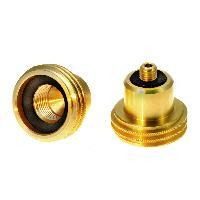 We offer Hit Lpg Adapter. 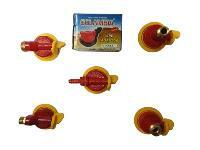 This is mainly used for the filling of Air in to the LPG cylinder for the testing purpose. 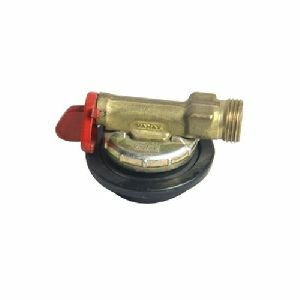 This will be used for both ways for the filling /evacuation of gas from the LPG cylinder. 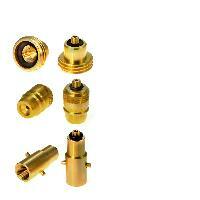 We offer Colambia Lpg Adapters. 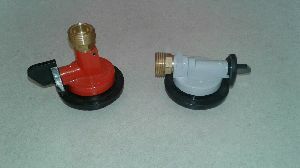 This will be used for the Evacuation of gas from the faulty valve / cylinder. 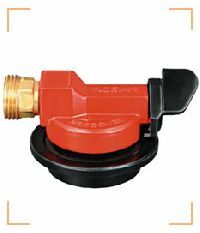 That will be connected with the hose to LPG reservoir.